Qualified Design And Construction, Each Step of the Way. 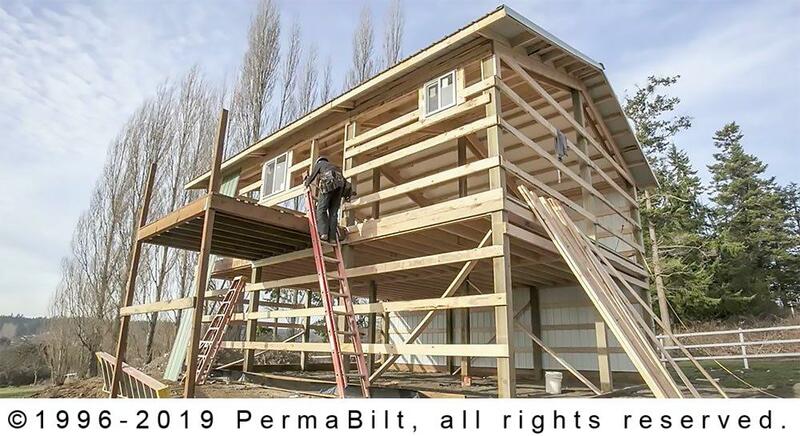 A PermaBilt post frame building is not just a structure. It’s a shelter for the things our customers care about and depend on for their livelihood. From business assets, equipment and livestock to prized possessions, we never forget the real value of what goes inside what we build, and the opportunity we have to enhance the property owner’s equity and enjoyment. From initial concept to the final phase of construction, PermaBilt has qualified personnel to see your project through each phase of the building process. Our commitment to quality and personal service has made us the leader in the pole building industry. We have experienced pole builders – company employed crews – located in all regions of Western Washington that are trained to build to our top quality standards. A Town & Country building representative will come to your property to get to know your requirements, ideas, and site options. On the spot, they’ll review your site selection and work with you to find a design direction to fit your needs and budget. Your representative will be qualified to answer your financing and process questions, and if you like, get the building process underway. PermaBilt is an established Home Improvement Dealer, and we are proud to offer the best combination of low interest rates, low fees and excellent customer service. Our finance process is simple and convenient. From initial application to the signing of your final documents, let our experienced staff do the work for you. Any of our hundreds of pole building design ideas can be modified to suit your requirements without sacrificing quality. A Town & Country representative will create a detailed building drawing according to your specific needs. Once the full blueprints have been finalized by our engineers, our permitting department will apply for and obtain all necessary permits. We employ full-time permit technicians, as well as permit runners who maintain strong working relationships with various jurisdictions, to facilitate and expedite the permit process for our customers. Once permits have been obtained, site preparation work completed, and payment terms met, our Construction Department will schedule material deliveries and your construction. Experienced area supervisors and construction foremen will work together to manage your project. Any questions you may have regarding the building process — before, during and after construction — can be answered by our administrative construction office. Qualified Town & Country crews will construct your pole building safely and efficiently. Inspections are scheduled at specific points in the building process to keep your project on schedule and to guarantee maximum quality. Our in office construction management team is dedicated to keeping your job on schedule. The end result is a building you’ll be proud to own. When construction is complete, we work with you to develop a punch list of any work items and then complete them to ensure your satisfaction with the job. Our buildings come with a 1-year warranty. We have been standing behind our product for over 40 years. If there is ever an issue with our workmanship, we make it right.